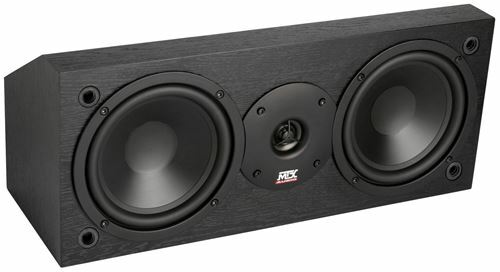 This speaker package provides the best of all world's, high power handling front cabinet speakers that deliver exceptional bass combined with wireless rear speakers that also serve as room lights if desired, and a compact center channel that delivers crystal clear high frequencies whether you are listening to music or movies. 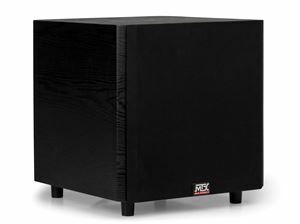 Further achieve musical purity with MONITOR series cabinet speakers when custom models aren’t necessary and permanent installation isn’t required. Available in bookshelf, tower, and center channel designs, these sleek black speakers fit any décor and fill your room with sound. These cabinets are perfect for musical entertainment or multi-channel home theaters. The Monitor 600i is a superior sounding floorstanding speaker designed with the highest quality materials. It features two 6.5" polypropylene woofers with rubber surrounds and a 19mm PEI dome tweeter in a D'appolito array to perform with reliability and accurate reproduction. A D'appolito array is a driver configuration of mid-tweeter-mid that benefits the sonic realism in a home theater. This arrangement reduces the unwanted reflective sound from floors and ceilings with a controlled vertical dispersion, or CVD. This use of offset drivers, crossover frequency, and slope provides better imaging and more realistic sound. Plus, with the dual woofers in a common, vented enclosure, the Monitor 600i has lower extension, higher power handling, and higher efficiency than a single woofer speaker. The Monitor 600i is a power-packed tower that can drive any high performance system. Engineered from the ground up for accurate sound and exceptional imaging in real world situations, the Monitor 600i is in line with the high standards of performance expected from MTX. DUO/DUO-CP Convenient - No Wires! Easy hookup without running wires. Surround sound compatible and fit anywhere. The unique design disperses sound 360 degrees. DUO, the world's first wireless speaker lamp. 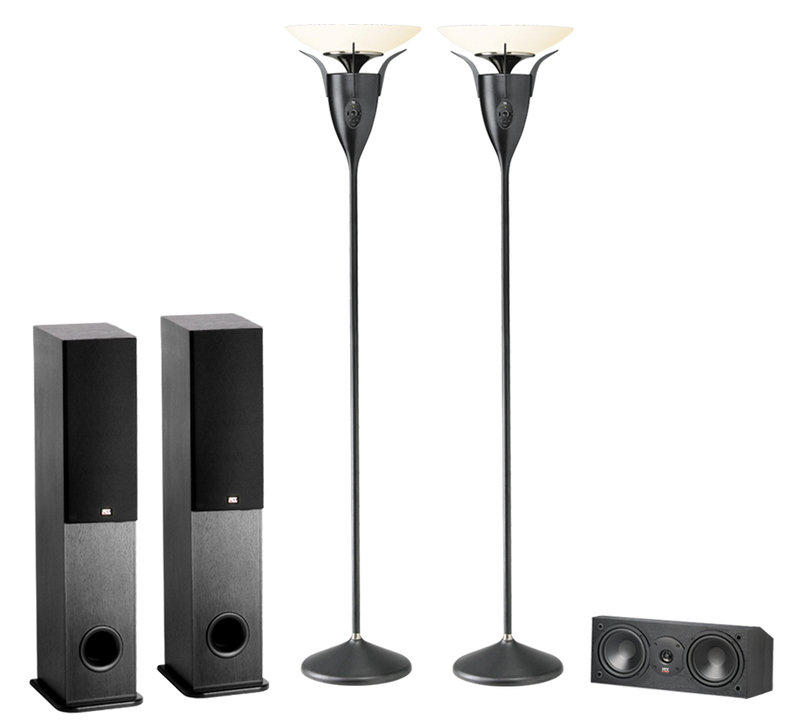 This unique blend of sound and light brings the rich beauty of audio and the warmth of light to your home - wirelessly. 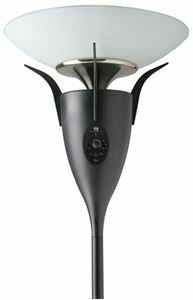 The DUO is a stylish torchiere floor lamp with an integrated 5.25" full range wireless speaker. 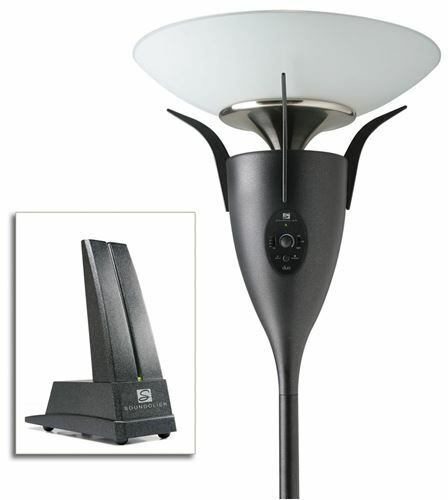 This innovative design provides full 360° sound dispersion using a patented pole piece mounting design. This eliminates speaker stands, speaker wire, unsightly speaker boxes, and cutting holes in the walls or ceiling. The DUO is perfect for living rooms, bedrooms, dens, covered patios, and even in commerical applications like waiting rooms or offices. The DUO can be set to "left" or "right" for use in pairs applications as rear surround spound speakers in home theaters, providing true realistic performance without speaker localization. The unit can also be set to "mix" to provide stereo sound from a single unit. 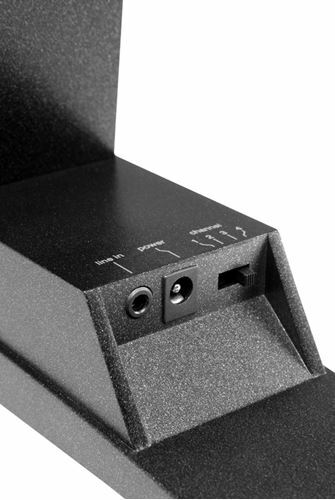 An additional input and output at the base of the lamp create greater flexibility to quick connect a local source like an MP3 player our output to a subwoofer. 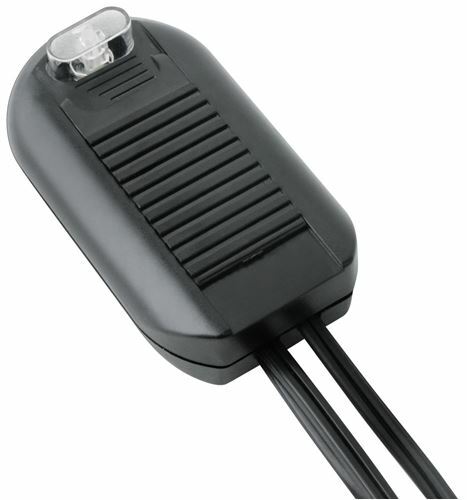 The unit also features a foot controlled power and dimmer that offer convenient control of the lamp for room lighting, theater style dimming, or anywhere in between. The DUO includes a proprietary 2.4GHz wireless system. 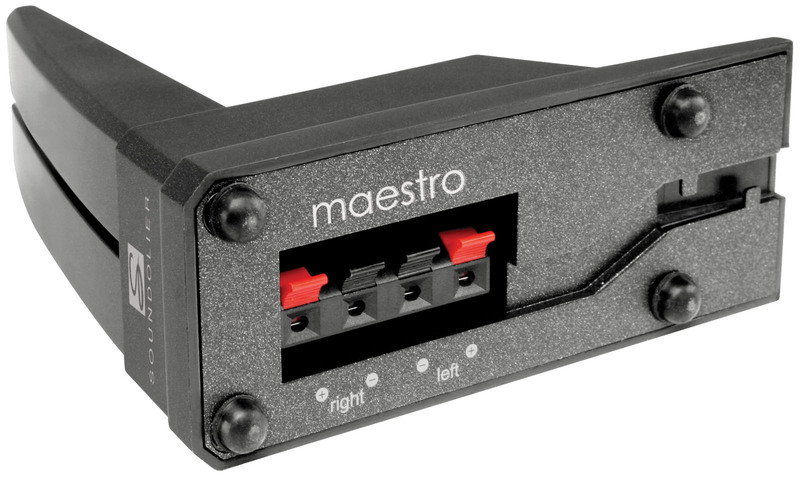 Connect the Soundolier MAESTRO (included in DUO-CP) transmitter to any source and the DUO can receive that signal up to 200 feet away. With four selectable channels allow the user to select the best channel to transmit so as not to interfere with other wireless devices like routers or cordless phones. The Monitor 6C is a top performing center channel speaker designed to complete any home theater. Two active 6.5" woofers and a 19mm PEI dome tweeter enhance this center channel's frequency response and sound clarity to provide exact sound reproduction and a realistic performance. 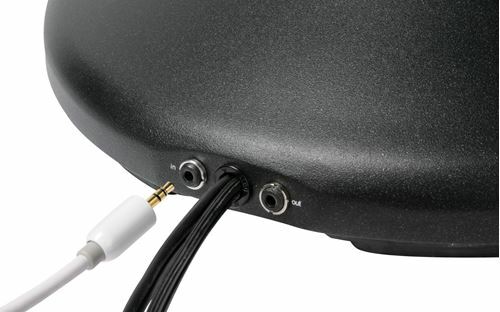 The Monitor 6C features magnetic shielding of all drivers to allow the speaker to be placed in close proximity to video equipment. Plus, the Monitor 6C is also made with high quality materials like polypropylene woofer cones with rubber surround and its PEI dome tweeter for increased durability. The Monitor 6C is timbre matched to the rest of the family and easily integrated to a full high performance system. Engineered from the ground up for accurate sound and exceptional imaging in real world situations, the Monitor 6C is in line with the high standards of performance expected from MTX.